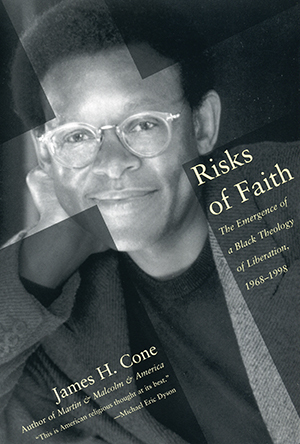 Risks of Faith offers for the first time the best of noted theologian James H. Cone’s essays, including several new pieces. Representing the breadth of his life’s work, this collection opens with the birth of black theology, explores its relationship to issues of violence, the developing world, and the theological touchstone embodied in African-American spirituals. Also included here is Cone’s seminal work on the theology of Martin Luther King, Jr., and the philosophy of Malcolm X, and a compelling examination of their contribution to the roots of black theology. Far-reaching and provocative, Risks of Faith is a must-read for anyone interesting in religion and its political and social impact on our time. “American religious thought at its best.” —Michael Eric Dyson, author of I May Not Get There with You: The True Martin Luther King, Jr.